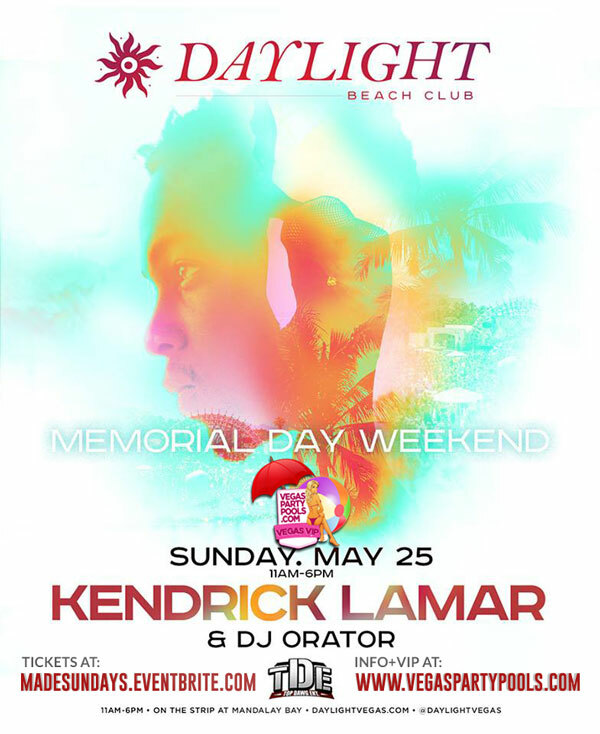 Daylight Beach Club Celebrates Memorial Day Weekend with Kendrick Lamar (Doors open at 11 a.m.) – Daylight Beach Club celebrates the weekend with American Hip-Hop recording artist Kendrick Lamar on Sunday, May 25. Memorial Weekend in Las Vegas offers the crazy parties and celebrations in honor of the beginning of summer. With a setting that evokes feelings of being on a tropical getaway, DAYLIGHT Beach Club will be the epicenter for MDW 2014 in Las Vegas. 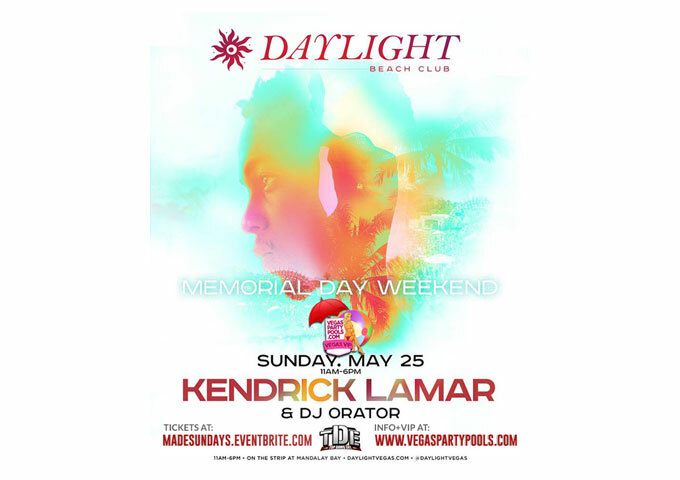 If you are thinking about heading to Las Vegas for Memorial Day Weekend, Daylight Beach Club guarantees to be the best MDW 2014 Vegas party destination, located at 3950 South Las Vegas Blvd in Las Vegas. Act fast and buy presale tickets now at www.madesundays.eventbrite.com, or call (310-749-9029). Daylight Beach Club is a departure from traditional Vegas pool parties, transporting guests from the hustle and bustle of The Strip to an upscale and chic tropical oasis. With inspiration drawn straight from the sands of Ibiza, DAYLIGHT Beach Club will bring sophistication, high-energy entertainment, fine cuisine, innovative technology and world-renowned DJs to the Las Vegas desert. 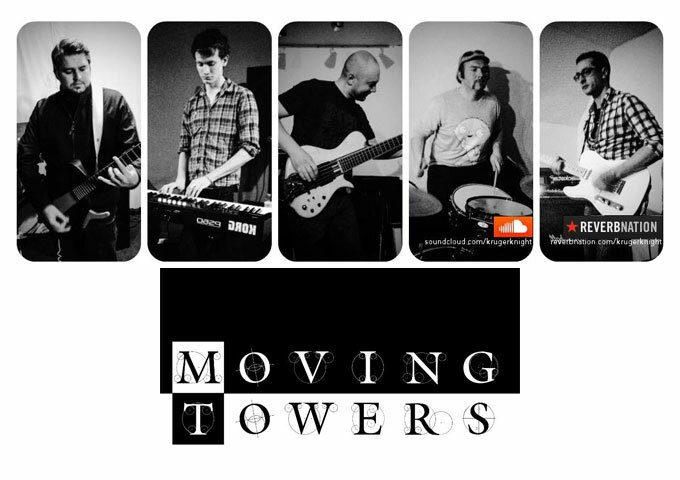 Moving Towers Is Absolutely Stunning and Almost Perfect In Every Way!